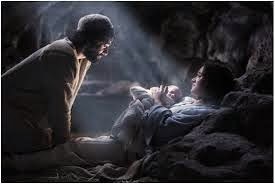 If we were to list all the characters in the Christmas story, I think the list would go something like this: First You got Baby Jesus at the center, then Mary and Joseph, then the angles, then the shepherds, then King Herod, then The Magi and lastly the Star of Bethlehem. However there is one character which is hardly ever noticed, although it is a fundamental part of the action in this story. And not I’m not talking about sheep or the cow or the donkey. The character I think I have in mind was there when Jesus was born, stood next to the Magi while they tried to figure the meaning of the strange signs they were witnessing in the heavens. This character stood with the shepherds as they tended their flocks at night and accompanied them to visit the new born King. It stood next to the choirs of angels as they praised God while wishing peace to all people of good will and was responsible for the brightness of the guiding star. We can even see the influence it had in King Herod’s heart as he plotted the murder of innocent children; And. If by now you have not guessed whom this crucial member of the cast is let me tell you it’s name… Its name is Darkness. If we were to re-read all the stories which compose the story of Christmas, from the annunciation to the visit of the Magi, you will notice that the closer we get to the point in which we are today the more darkness plays an ever increasing role in the plot. From the night dreams St Joseph had as he struggled to decide if he should expose the pregnancy of Mary, to the Holy couple seeking for a place to spend the night and deliver their baby, to the dark corners of a cold a dirty stable, to the shepherds herding their sheep in the night, to the choirs of angels singing in the night, to the magi following a star; without the shadows of the night, the Christmas story would be incomplete. I do not think this happened by accident, in fact this is one of the main points of the incarnation, God in the flesh illuminating a world in darkness with his divine presence. The interesting thing is that although human beings and animals have a natural fear of darkness, in this story darkness although a constant companion in itself it is not scary. It is only when we are confronted with the darkness residing in the heart of King Herod that we are repulsed by it. What can be in the heart of a human being who chooses to murder innocent children than the plain unadulterated darkness of evil? It would be nice if we could say “thanks be to God we do not live in a world with that kind of darkness in the hearts of men!” But sadly we do, we see examples of this every day! From the children murdered in Sandy Hook just a few days before Christmas, last year. To the stories of the Islamist terrorists in, butchering children just because they would not deny their faith in Christ, to the sad reality that since abortion has been legal in our country 52 million babies, have been aborted by an industry which exploits the fears and confusion of poor women. The darkness of evil is a clear presence in the hearts of many men today. This is why we needed a savior, someone like us but not one of us. Someone who can show us the way in the same way the start guided the Magi, not destroying the darkness but illuminating it with its brightness, and marking a path for us to follow; because darkness cannot be destroyed or eradicated but it could be made disappear by the light of something as simple as a baby wrapped on swaddling clothes resting peacefully in a manger. The three wise men visited the baby Jesus because he was light in the darkness; they followed a star because it guided them to the source of all light. They set an example for us, who exist in the darkness of our modern world. The other day Nancy and I were walking from the parking lot and met a gentleman, one of our parishioners. We started talking and in his words we could hear how much he had been affected by the things that are currently happening on the world. He asked me “Why are all these horrible things happening?” I gave him The best answer I could, I said “Evil exists because of sin, as long as we live in this side of heaven we will have evil. But we will also have the light of the spirit which guides us, protects us and consoles us”. This is the light which today shines from the manger, the light the magi followed and the Shepherds marveled about in wonder. The light which shines into the darkness of world, Jesus Christ the Son of God, who became flesh dwell among us and is still gently guiding us into heaven.